The last time I saw my father was January 29, 2014. Unbeknown to me, my father had been battling seriously with mental ill health since at least 1996. I spent a long time asking myself why he didn’t reach out, or if there was anything that I could have done to save him—I suppose that’s the survivor’s guilt. 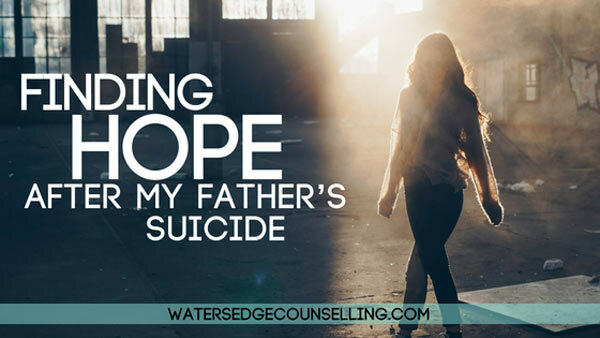 As I found that my father’s death was by suicide, I found myself angry that I could not see the signs until it was too late. I have spent my life suffering with anxiety and depression, so why was it so hard to recognise the same pain in the person who was my world? I can’t explain the pain that comes with losing a person suddenly, to something that could have—should have—been prevented. My father was the reason I made it to 18 years-old. He had saved my life countless times and yet I couldn’t save his. I don’t think that any death of a loved one is easy, but I do know that suicide is a particularly cruel form of death. For those left behind, it’s like a nuclear bomb that keeps going off. I am not and never have been angry at my father’s choice to end his life; I completely understand why. However, when you love someone so much, you kind of just expect them to be alive forever and adjusting to a world without them is the hardest part. Grief was a bumpy rollercoaster of a ride for me. Some days I felt fine, like my father could walk through the door any moment and it was all a bad dream. Other days I couldn’t breathe and I felt completely dead inside. I constantly danced between substance abuse, going weeks without being sober and then working hard to find success so that I could make my daddy proud. I still don’t know how I have made it to where I am today. I suffer with disassociation a lot but I do know that I have survived and that I am allowed to continue to live, even when my father chose not too. Grief can make you do things that you will regret later. It can make you become a person you are not and sometimes it can be hard to see anything other than the pain that now lives inside and consumes you. I have found that the key is about self-respect and understanding. I spent a lot of time arguing with people who were impatient with my recovery. I will preach and scream on the top of my lungs now that “we need to grieve in our own time and way” because I fully believe this. No one will understand your grief even if it is over the same person, because we are individual and our minds respond differently to trauma. I also threw out the “steps of grief” because it is not a one size fits all situation. There is no wrong or right way to grieve; the only thing that really matters is that you are still fighting to live, even when you don’t want to. I look forward to my future now and I am happy with how my life has turned out. I will still have days where I cry because I miss my father, like when I had to walk down the aisle without the one person I wanted there by my side. However, I can understand that there is nothing I could have done to stop my father’s death. Yes maybe it could have been prevented, but it was not my responsibility. How could it be when I had no idea he was struggling? I also know that my father did not do it to hurt me, he was just in pain and wanted it to end. Because I have allowed myself to grieve and learn to enjoy life again, I am stronger than ever. Somehow, my father’s death has become a gateway for me to be able to help others and prevent future suicides. For that I believe my daddy is proud. All we can do, at the end of the day, is try to find a little bit of good in even the worst of things. That is called hope. Charlotte Underwood is a 22 year-old from Norfolk Uk. She is a growing mental health advocate on twitter (@CUnderwoodUK) and is passionate about using her words to support and inform. You can read more of her work at www.charlotteunderwoodauthor.com. Are you struggling with thoughts of suicide? Are you concerned about the welfare of a loved one, or are grieving the loss of someone to suicide? Please call 000 or 911 in an emergency or call Lifeline on 13 11 14. For crisis hotlines in other countries, visit Hope Movement’s International database here. Your G.P. and a Professional Counsellor can give you the additional support you need. For a FREE 10 minute consultation as to how we can help you, ring Colleen on 0434 337 245, Duncan on 0434 331 243 or Rachel on 0422 177 193. Click Book Now to book an appointment in our online diary.